Some people take an evening walk to clear their minds. Zheng Yang does the opposite. He goes for a stroll to fill his mind with ideas. “When I walk along the streets of big cities and I see those high-rise buildings around me, I think of how much data I can collect from them and how much energy I can save for them” Yang said. Yang, Ph.D., A.M.ASCE, in the Stanford Urban Informatics Lab, is developing an open-source building energy benchmarking platform, and exploring the coupled dynamics of urban systems using data science and micro-experimentation as part of his Stanford University postdoctoral studies, and ASCE has chosen him as one of the 2017 New Faces of Civil Engineering – Professional. The essence of Yang’s research is data-driven analytics with the goal of sustainable future cities and buildings. He and his team are striving to understand and quantify the dynamics and interactions between urban systems and human systems; the idea being that the more you can quantify, the easier it is to develop sustainable solutions for cities and buildings. 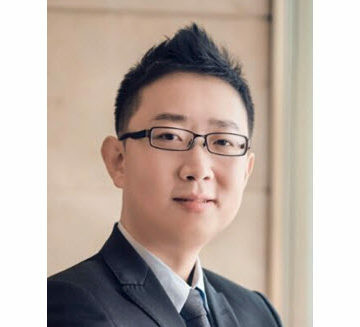 He began researching sustainable building energy management and intelligence human-centered system control six years ago at the University of Southern California. Yang’s interest in the field goes back to his childhood in Tianjin, China, where his mother was a professional civil engineer focused on sustainable building design and city planning. Sound familiar? Yang has conducted multidisciplinary research for four National Science Foundation projects and one for the Department of Energy. 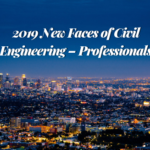 He was also the lead of volunteers for the 2016 Chinese-American Engineers and Scientists Association of Southern California 54th annual convention. In addition to his current research, Yang is recognizing the importance of messaging – getting his ideas across to the public. “We have so many sustainability challenges,” Yang said. “We need to educate the public about how important they are to sustainability. They are not just test subjects. They are actually the key to our long-term success. ASCE will honor Yang and all 10 New Faces of Civil Engineering at the 2017 OPAL Gala, March 16, in Arlington, VA. Tickets are available now.